While that suggestion never did catch on, it did represent a different insight as to a possible solution to a seemingly intractable problem, and it provoked quite a discussion. We have a new such problem, and it has to do with physicians. Today’s physicians, in their quiet moments, usually admit that their profession and they are in deep trouble. Physicians too often work too hard for too little; they spend too little time on what they consider to be the “practice” of medicine; they believe they are disrespected by hospitals and insurers; primary care docs envy specialists; specialists despise hospitals; and worst, they just flat do not like their day jobs to the point that there is rampant burnout, anger, and depression. Not quite Marcus Welby. It starts after med school, if not during. The plight of newly “minted” physicians is dire. Unless they come from families of wealth or get some miraculous form of a free ride, they end their education and training with debt often exceeding $200,000. And given the length of time it takes for them to start making decent income, they will have lost at least 8 years of saving and investing, plus the time they need to pay that debt back. They also have to purchase exorbitantly priced malpractice insurance. Meanwhile they do things like get married, have children, and buy houses and cars, like many other professionals. Their plight is well described in a recent article which should cause even the most idealistic young man or woman to think twice before entering medicine. The burnout and depression statistics of practicing physicians today are astounding. This financial pressure not only creates huge stress in a profession that already produces stress in buckets-full, but at times causes physicians to make career choices that they otherwise would not have made but for their personal balance sheets. A glaring example is the dwindling number of students who opt for primary care and caring for the underserved. At a time when we need more of our best and brightest going into medicine and practicing at the “top of their license,” this seems off-putting to say the least. Peter Bach and Robert Kocher in a 2011 NY Times Op Ed Piece discussed this very issue, suggesting that med schools should be for free. They say the total cost ($2.5 Billion per year) is one one-thousandth of our total annual healthcare spend, a drop in the proverbial bucket. They also suggest financing post med school training for primary care but not for specialists, acknowledging the subsequent income gaps between the two. Another problem of misallocated resources for another blog. European countries with healthcare systems that many admire do something similar. In France, for example, physician graduates have no med school debt nor do they worry about malpractice insurance, but their compensation is considerably less than in the US. And they do not log the hours that their American brothers and sisters do, although this is a phenomenon that seems to be changing. Yet patients seem to get treated in France. Perhaps they are more patient. 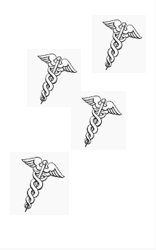 We cannot allow hospitals or physician groups to control physician compensation, whether by salary or otherwise, because such organizations may be all too quick to try to return to the old system of commoditizing physicians and having their salaries driven off volume related activity–back to where we no longer wish to go. We’ve decided physician practice is not a business. Never should have been. We want physicians who will spend time with their patients. What physician wouldn’t admit that she should be seeing significantly fewer patients in a day and spending more time with them? The other patients can wait, or be seen by someone else. Not only getting to know them, but doing the other things that do not fit within today’s definition of “practice” but that are so critical to better outcomes. Of course, the reason those activities do not come within today’s definition of “practice” is that they are not reimbursed by insurers and the government. This will no longer be the case when physicians are paid salaries by the federal government, with increases (or decreases) based on universally applied standards of care, outcome, and cost measures. A brief aside: American physician compensation, despite the fact that it is significantly higher than elsewhere in the world, is NOT a driving force of our out of control healthcare costs. Physician compensation is a surprisingly small fraction of total costs, so let’s put that one to bed early. I have always and repeatedly said that it is not fees that are driving our out of control increases–it’s rate of use. So, our government can afford to pay physicians well and should. Of course there are wildly varying opinions on this subject, but who should we be paying more? Lawyers? Is all this perhaps too aggressive? We already have come to the conclusion that access to quality healthcare is a fundamental human right, to be guaranteed to every man, woman, and child legally within the United States. Well, if that is the case, isn’t it the role of government to ensure and protect our fundamental rights? Seems Obama and company thought so. That right is being threatened by the extinction of primary care, the inadequate numbers of physicians, and their mental and emotional states which contribute to all manner of mischief, including our out of control costs of healthcare. Like moths to the flame, physicians keep doing more and more “things” in order to augment their revenue. Exhausting. Debilitating. Like an endangered species, physicians deserve our attention and support. They cannot be allowed to become extinct; nor can they be diminished to the lowest common denominator by a “system” that is running roughshod over them. Of course, insurers will be abolished completely with the government being in charge of all physician payments. Insurers in healthcare always were an anomaly (health insurance actually is almost never “insurance” given that it pays for highly predictable expenses), but after FDR and Truman caved in to labor in the 40’s and 50’s, we were set on a path that was truly locked in by the Internal Revenue Code allowing employer health coverage costs to be deducted by employers but not counted as income to employees. We’ll be reasonable. Physicians will be permitted to marry and have children, but not too many. They themselves will be required to undergo biannual mental and physical examinations. Each will be assigned a “mentor” who is there to talk to when needed, modeled on the highly successful AA sponsorship program. The health and well being of our physicians are of the utmost importance. And when physicians retire, they will receive an old fashioned defined benefit pension that is fully funded annually by statute and not a part of our Social Security Program. They will also receive all their healthcare for free, but that is not a big deal given that there will be universal coverage, funded by a new 20% tax on wages and investment income to cover universal coverage funded by a single payor. Now you might say that this is perhaps an over reaction? I suggest not. How can it get worse than it is today? Ask any doctor friend if they truly love what their profession has become. Under our modest proposal, might doctors choose not to work as hard given the lack of capitalistic return for their efforts? Perhaps, but doctors do way too much today, no? Some commentators suggest they work too many hours. They’ve always said that it’s not about the money anyway. And we all know that more healthcare does not correlate with better results. You might have correctly concluded by now that this was written tongue in cheek about an all too serious problem with the medical profession, a profession I revere and admire. I could never qualify to be a physician, so I had to settle for becoming a lawyer and then the CEO of a health insurer. And, no, I have never saved a single life that I know about. I believe that while patients are always the focus, physicians must be the center of the healthcare delivery universe, not hospitals, labs, pharma, etc. Human being, one-on-one, get right down to it, hands-on doctors. They remain our best hope. And we must start doing something about and for them NOW. Let us discuss and propose radical ways we can address this issue. One of your best posts. I agree with GeriTech, working conditions are the main issue. The economics are tolerable. Medical education is extremely inefficient. Student debt could be substantially reduced by addressing this. Medical schools have failed at selecting for Primary Care, especially the rural variety. This will have to change for your ideas to be successful. Thanks for the comment. We need innovation and flexibility. We must keep capable young women of child-rearing age practicing, so even 35 hours might be too much for them for a while. Good ideas. No! Bad idea having gov’t picking winners/losers. Let market decide. I’d like to do that. It would warm my Republicanish soul. But the market has really screwed this one to a faretheewell. We have to reset in some way. Life is about drawing lines. I could agree with nurses. Administrators? No way! They do not require the lengthy training, and they have so many other options. Funny though, the French and Germans love their system. Something is REALLY wrong in the US healthcare system.